The rise of electric vehicles (EVs) and battery storage systems is signalling a new era for the application of lithium in the automotive and energy sectors. It is widely expected this will lead to a significant demand side increase and supply side deficit and therefore a substantial price rise in the coming decade. As EVs hit the mainstream, guided by a global shift to reduce CO2 emissions, and the use of lithium in energy storage systems become commonplace it is imperative that any lithium producer can be competitive on the cost curve to enter the market. Lepidico, with its transformative L-Max® technology, is primed to supply the growing lithium demand market as it turns. 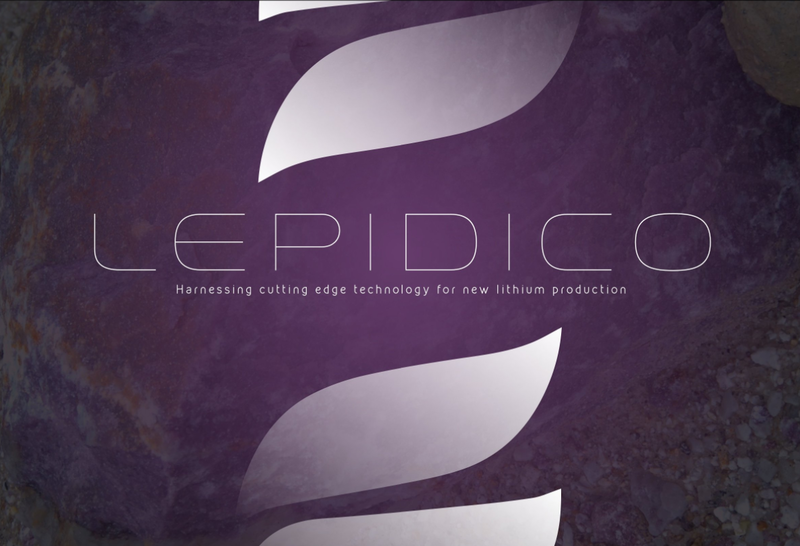 Lepidico’s key differentiator in the ultra-competitive lithium market is the L-Max® technology it owns which will bring down the costs of production, unlock new sources of lithium which have previously been overlooked and provide an opportunity to draw revenue from a suite of by-products. L-Max® works through a simple but highly effective leach and impurity removal process using Lithium micas as the concentrate feed and removing different elements at different pH levels until you are left with high specification battery grade lithium carbonate. Using industry standard equipment L-Max® leaches lithium from micas using sulphuric acid, without the roasting employed for the capital and energy intensive conventional processing of spodumene. Spodumene roasting does not generate any by-products either. In Lepidico’s case the by-products, which include sodium silicate, potassium sulphate and caesium, will provide almost as much revenue as the primary lithium carbonate. The technology is subject to an international patent application and Lepidco is developing the process further to expand its application. A recent milestone for Lepidico was the completion of the pre-feasibility study which managing director Joe Walsh says has demonstrated L-Max®’s considerable potential as a low-cost solution for producing lithium chemicals. The process was tested using three different lepidolite concentrate feeds and returned excellent results. The PFS tests produced high specification battery grade lithium carbonate at 99.88% purity. “L-Max® has consistently delivered excellent results from the recent test work programmes, both in terms of recoveries and product specification,” explains Walsh. As well as providing high grade product, the technology will unlock a third source of lithium for the global market. Walsh explains that until now there has not been a process technology that can commercially exploit lithium micas and to date they have largely remained in the ground, lithium today largely comes from conventional brine or spodumene. Walsh highlights two of Lepidico’s strongest competitive advantages after validating L-Max®, “Firstly lepidolite has not been systematically explored for so the best grade deposits sitting at surface are still in the ground, sources of high quality lepidolite that can be mined cost effectively. Lepidico will be pursuing both a fully integrated business model and a downstream process model which will combine the use of third party feed sources into its L-Max® plant. The strategy is straightforward, to secure and acquire quality lepidolite deposits that will support the development of a mine and concentrator to provide feed to the downstream plants, as well as to bring in third party feeds. “The compelling findings from the recent pre-feasibility study have provided the confidence to commit to a full feasibility study for the Phase 1 L-Max® plant located in Ontario, Canada,” remarks Walsh. The location of the plant is crucial in relation to the market for the associated by-products and the reagent accessibility. The PFS was heavily focused on logistics and evaluating the most strategical location to build the plant. “The study concluded that the optimum location is where we can minimise the cost of sulphuric acid and maximise the value of our by-products,” explains Walsh, with all the current signs pointing towards Canada. North America, around the Great Lakes region, has a depth of market for sodium silicate with over 1 million tonnes (mt) annual demand as well as significant sulphuric acid being produced and exported. There are similar market situations in central Europe and Japan, two locations which will both be explored for future production. However in Kenora, Ontario, where Lepidcio is seriously contemplating building the plant there is access to sulphuric acid from two large copper smelters in Sudbury – the company can act as a ‘sulphuric acid sink’ in this scenario. Then there is the strength of the sodium silicate market in the region which substantially bolsters the project economics. To further strengthen Kenora as the likely location of the L-Max® plant is Lepidico’s offtake agreement with Avalon Minerals from its Separation Rapids project just 80km to the North. The agreement would provide Lepidicio with a lepidolite feed very close to the plant and thereby provide a significant location benefit for both parties. “Part of the logic for Kenora is that it’s on the Trans-Canada rail line and we can get acid straight from Sudbury, plus we can sell sodium silicate into the major manufacturing regions of Canada and the US,” highlights Walsh. Now that a possible site has been identified in Kenora, Lepidico can begin the process of review and approvals before entering the design and engineering work required for the future L-Max® plant. Walsh stresses the company is fully committed to the feasibility study and is completing the test work for that with a continuous mini-plant trial, however further work on logistics feed source characterisation still remains. On the operational side Lepidico is already in an enviable position. It has advanced in the security of high grade supply via a number of agreements for lithium mica projects across the world, it is proving up the technology and advancing its Phase 1 Plant Project. If you then consider the market indicators for lithium over the next decade and the significant likely price increase the picture becomes ever rosier. Car manufacturers, led primarily by Elon Tusk’s Tesla, are in a race to design and manufacture a mainstream, low cost electric vehicle that will dominate the global car market. Walsh firmly believes the electric vehicle story and says he is even more convinced that it is the future of the automotive industry having test driven the Tesla Model S.
While the basic specification Model S currently retails at around $68,000 Walsh believes the industry is only a couple of years away from producing a $20,000-30,000 vehicle with superior performance to a conventional internal combustion engine car that will take urban spaces by storm. The effect on lithium, as a key component in the lithium-ion batteries which power electric vehicles, will be strong demand growth and therefore continued robust lithium spot prices. Walsh is now completely focused on gearing Lepidico to be at the bottom of the cost curve and be part of the supply chain when that demand spike happens. The second major new application for lithium will be in power storage units, again market-led by Tesla through its Powerwall unit. They are subject to the same pricing issues currently preventing EVs becoming mainstream, but Walsh explains that with further development in storage technology the price for individual units will come down and the sector could have a huge impact on lithium demand. Another factor putting Lepidico in a prime position to take advantage of the anticipated lithium demand upswing is the time it normally takes for the industry to respond to a price jump with supply. Walsh is expecting to have the plant built and the logistics in order to fast-track to production, whereas for many other developers there is significantly greater lead time in getting a new project online. Looking forward Walsh has set out a clear timeline to drive the company through to production. He is hoping to have completed the feasibility study by the end of this year, followed by financing, then enter an expected 15-month development phase for the plant with first production targeted in mid-2019, although subject to permitting and approvals. “Lepidico has a very focused strategy to leverage our robust technology, as demonstrated by the recent PFS results, and become a lithium producer as swiftly as possible and then expand into the market. “The massive growth is in the new applications of lithium, but the question for the industry is how many of the new projects that don’t yet have identified mineral resources on them can be converted into producing projects?